I don’t know about you, but I find nothing more blissful than curling up on the sofa with a cup of tea while leafing through large glossy travel books crammed full of magical photographs and exciting travel possibilities. Armchair travel at its best. I guess the fact you are reading this means you have a travel itch to scratch or know someone who does. So, here are some of my personal favourites (plus a couple on my Christmas wish list) to tickle your wanderlust. I hope you find these recommendations as inspiring and fascinating as we have. They have helped shape our travels over the last two and a half years, and continue to do so as we plan 2018. Please note we are an Amazon affiliate partner, so we earn a tiny amount if you buy anything through the links below, at no extra cost to you. Thank you for supporting the ever-increasing cost of running our site! This delightful book filled with visual wonders that very few will have the chance to see for themselves. National Geographic’s finest photographers capture places, events, natural phenomena, and man-made heirlooms seldom seen by the human eye. Including, 30,000-year-old cave art sealed from the public; animals that are among the last of their species on Earth; volcanic lightning; giant crystals that have grown to more than 50 tons; the engraving inside Abraham Lincoln's pocket watch. This book is the ideal present for the traveller who has already digested all the usual travel book staples. With travel becoming more and more accessible and affordable, well-known tourist hot spots have become crowded with the selfie stick toting masses. For those who crave something different, but still want spectacular and rewarding, look no further than this travel guide which compares famous hot spots with less-trodden alternatives, warts and all. Our travel bucket list grew after pouring through this fascinating book. Renowned photojournalist Steve McCurry shares some of his most beautiful and iconic images from around the world. With 30 years experience under his belt, he effortlessly captures humanity, storytelling with his pictures. Simultaneously uplifting and affecting. Budding travel photographers will love this book. National Geographic does what it does best, taking you on a photographic journey through all manner of extraordinary places. This practical and stunning guide will inspire your travel adventures as well as provide useful information for each location, so you know when to go, where to stay, and what to eat. This impressive 320-page tome, scoops up ancient monoliths, beautiful islands, stunning artwork, electric cityscapes, white-sand seashores, rain forests, ancient cobbled streets, and both classic and innovative architecture. Armchair travelling has never been easier. From Afghanistan to Zimbabwe, this gorgeous guide provides the perfect introduction to every country in the world. 230 countries, 850 stunning images, and commentary detailing when to visit, what to see and do, and how to learn more about each country’s culture from its films, music, food and drink. This 448-page volume showcases each nation through remarkable photography of its people and landscapes, as well as vibrant street photography. Lonely Planet at its best. Not strictly a travel book, more a fantastic street photography collection. An essential part of documenting our travels is capturing the people we meet through our street photography. Photographer, Brandon Stanton, set out to create a photographic census of New York City in the summer of 2010. But it became so much more than that. Now with a blog following of four million loyal fans, he presents beautiful, heartfelt, funny, and inspiring photographs and stories capturing the spirit of a city. This book shares 400 of his magnificent images. Quite the inspiration for travel photographers, ourselves included. A personal favourite of ours that we return to time and time again. This lavish volume spans all manner of adventures across the globe. Some well-known, some less so. All beautifully presented with the magnificent photography, you expect from National Geographic together with expert advice on how and when to visit. So whether you fancy an Antarctica cruise, mountain biking in Transylvania, or driving the scenic Scottish Highlands, there is something for everyone craving a bit of adventure. Every continent and every possible form of transport is covered. Gray Malin artfully captures awe-inspiring aerial photographs of beaches around the world, giving a new perspective on summer bliss. Shot from doorless helicopters, he combines the spirit of travel and adventure to create the ultimate visual escape. 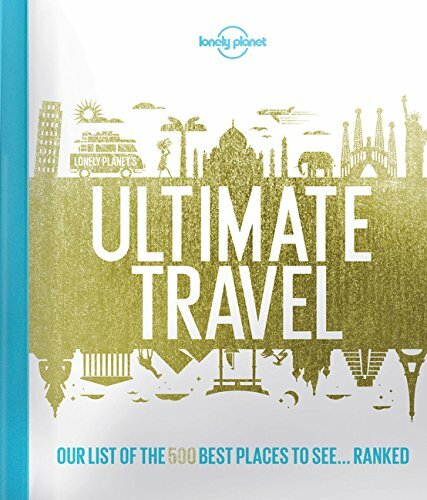 Lonely Planet has pulled together all its experience and knowledge to create this all-encompassing volume of the 500 most unmissable sights and attractions in the world. The Lonely Planet's global community of travel experts has even conveniently ranked everything for you to create one massive travel bucket list. Complete with inspiring photography and helpful commentary. A definitive wish list that will inspire any travel junkie. 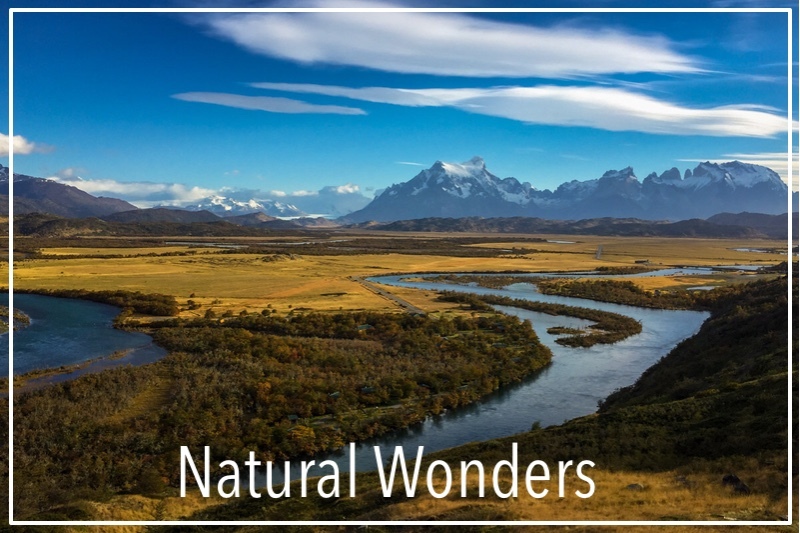 We always knew the National Parks in the USA were special, but it wasn’t until we did some research for an upcoming road trip that we realised how special. 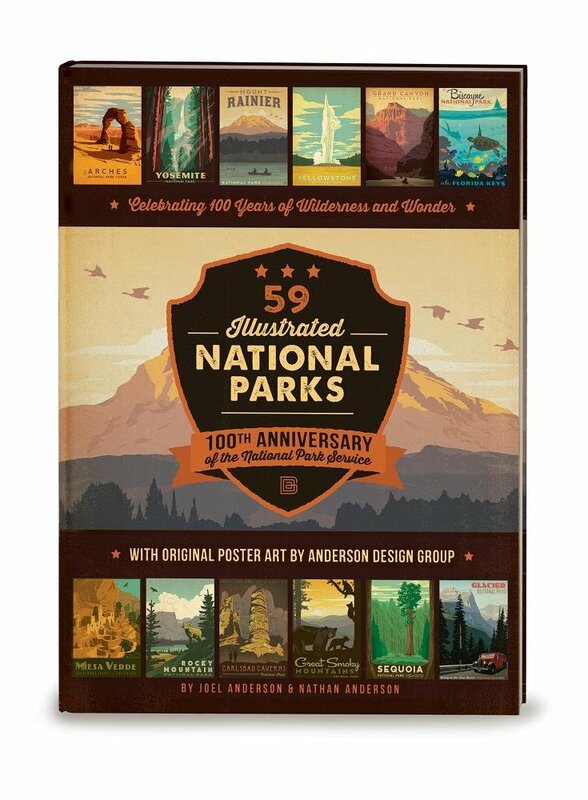 This book captures and celebrates 100 years of wilderness and wonder at the 59 National Parks. This is the perfect book to inspire your own trip to one (or many) of these diverse and beautiful parks. Our next trip is already planned for 2018. Can’t wait! We hope you have enjoyed our recommendations? Any books that you think we should add? We would love to hear from you. If you want to read more about some of our adventures inspired by these beautiful coffee table books, click below.